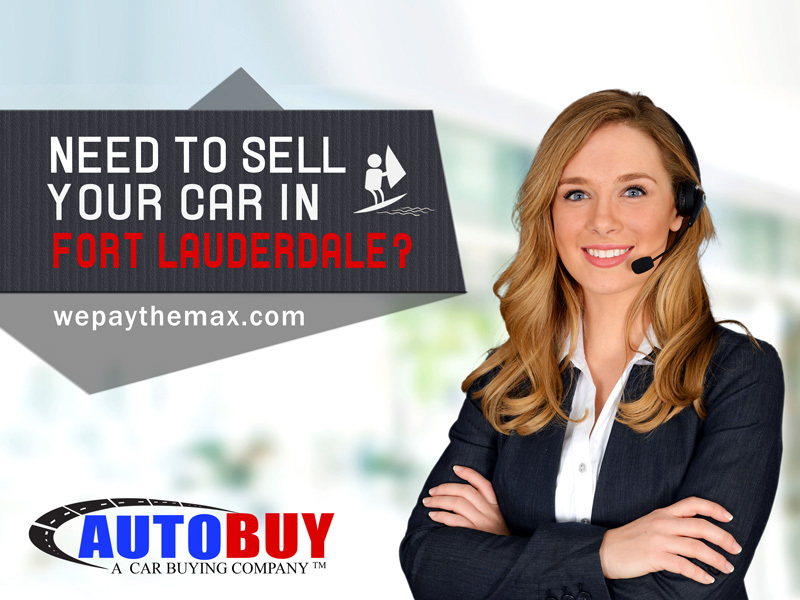 Need to Sell Your Car in Fort Lauderdale? Call Autobuy! Are you still driving an old, outdated vehicle around town with no real use for it? Many people now a days are still cruising around in those old cars, trucks, crossovers, and sports utility vehicles and more often than not, these old vehicles are not in the best condition. For example, they may have engine problems or interior flaws, or perhaps they may not be fuel efficient enough. Thus, those people will end up spending more money on maintenance and fuel for this said vehicle than necessary. So instead of pouring money into these vehicles, why not upgrade to a vehicle that will both serve you and your needs better in the long run? You can come sell your car and use that money you make from selling it as a down payment for perhaps a new and better vehicle! Life is too short to settle for less than you deserve, which is why our team at AutoBuy is willing to buy your old vehicle from you! Located conveniently in Fort Lauderdale, FL, the team at AutoBuy will give you as much as is possible for your old vehicle so you can upgrade! It’s not an uncommon occurrence; people are ripped off every day at used vehicle places all over the country. Unfortunately this stereotype has given the good teams like Autobuy in Fort Lauderdale a bad name, but finding the best place to sell your car can be a daunting task. Getting the price you deserve is not always easy, and many places will try to haggle you down to a sum that you would have never accepted in the first place. And not only will some of these places offer you far less for your car than it is worth, but they will sometimes also make you jump through ridiculous hoops to get the amount of money you both agreed on. This process can be so maddening that you just want to give up, but look ahead! Instead, choose to sell your car to someone like AutoBuy! 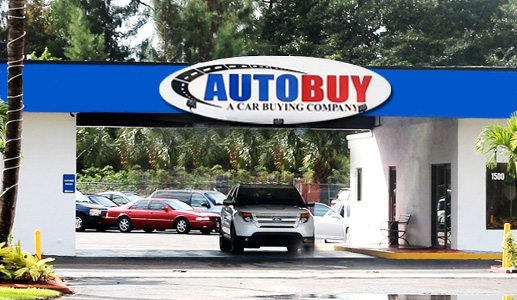 AutoBuy has an experienced team of salesmen that will work with you instead of against you to give you the best deal possible for your old car. They actually have your best interest in mind, unlike many of the other companies you may have dealt with or heard about in the past. So don’t waste your time on a company that does not care about you! Instead, come on over to AutoBuy in Fort Lauderdale and let one of our helpful members talk with you about a fair price to sell your car or truck today! Selling your vehicle should not be a torturous or headache-inducing process. Thankfully the efficient team at AutoBuy makes the process of selling your old car a breeze! Our team at AutoBuy recognizes that your time is valuable, which is why we try to get you in and out as quickly as possible so you can get on with your busy lives or upgrade! Simply send in all of your car's information via the easy online form or call our toll free number. Then, you can bring your old vehicle to one of our AutoBuy specialists. It’s the best way to give you the best offer for your vehicle based on its current condition, and is often a step that many competitive companies leave out. From there, it’s all just about closing the deal! If you like the price AutoBuy offers, all you have to do next is sign on the dotted line! You will receive your check instantly and be out the door and on your merry way in no time! Sell Your Old Car to AutoBuy Today! If you have an old car, truck, or SUV you are willing to sell, come on down to AutoBuy in Fort Lauderdale to sell your car or truck. Let our team give you a fair price for it so you can move on to bigger and better things! « Previous: Looking to Sell Your Car in Miami? Call the Autobuy Car Buyers!